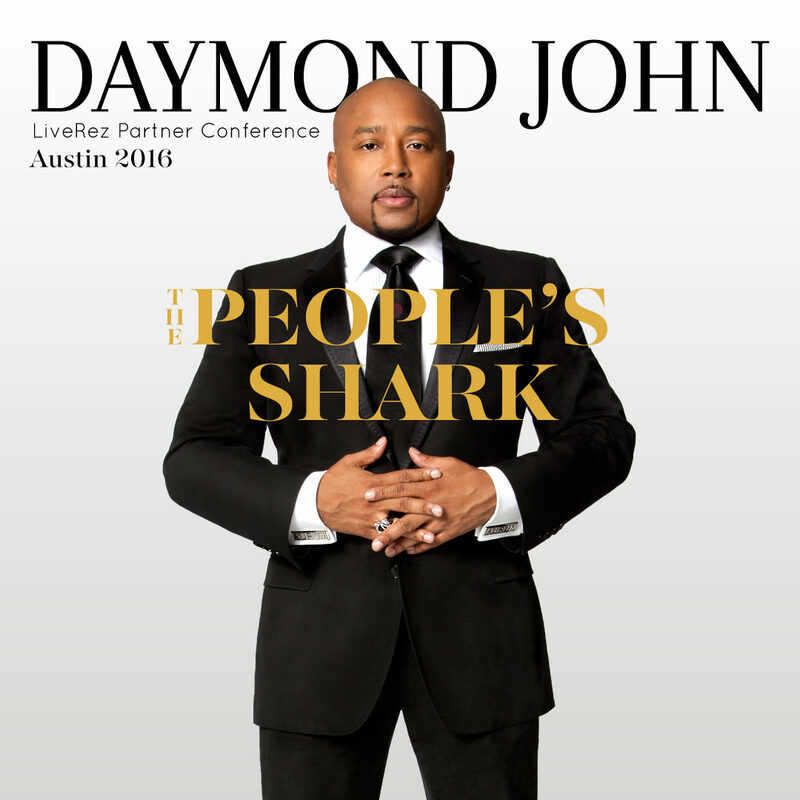 Eagle, ID – LiveRez.com, the most widely used cloud-based software for professional vacation rental managers, today announced global marketing pioneer Daymond John as its featured keynote speaker at the company’s annual Partner Conference, October 10 through October 13 at the Lost Pines Resort and Spa in Austin, TX. Best known for his starring role on ABC’s Emmy Award-winning business-reality series Shark Tank, John is a world-class entrepreneur and marketing expert, who built his lifestyle brand, FUBU, into a household name. John has received a wide array of honors throughout his 25-year career. In May 2015, the White House appointed him Global Ambassador of Entrepreneurship, and he’s earned more than 35 prestigious awards, including Brandweek Marketer of the Year and Ernst & Young’s Master Entrepreneur of the Year. He’s also penned three national best sellers. His most recent title, The Power of Broke, debuted at No. 2 on The New York Times Best-Seller list. John came from humble beginnings to build a global empire. From the streets of Hollis, Queens, John started a global movement from the basement of his mother’s house by capitalizing on the then fledgling hip-hop culture. Today, the streetwear market that FUBU pioneered is a $20 billion dollar industry, with FUBU eclipsing more than $6 billion in global retail sales. He now helps other entrepreneurs to achieve the American dream. Through his role as an early-stage investor on Shark Tank, John has invested millions of dollars to help more than 60 companies grow their businesses. At the 2016 Partner Conference, John will empower LiveRez partners to grow their brands through sharing many of the key insights he’s learned over his decorated career. In addition to John’s keynote address, the conference will feature a big unveiling of new technology, a stacked lineup of classes from industry and software experts, and much more! To learn more about the 2016 LiveRez Partner Conference, visit Conference.LiveRez.com. ←LiveRez Implementation Team Sweeps This Month's Honey Badger Awards!